We facilitate healing using the latest in technology in a welcoming and friendly environment. Dr. Bailey grew up in Los Angeles, CA, where he excelled in sports and subsequently earned a football scholarship to Vanderbilt University in Nashville, TN. During his sophomore year at Vanderbilt, he injured his neck playing football, leaving two of his fingers completely numb. The loss of sensation lasted for about two years and was not helped by conventional medicine, so a family member encouraged him to try chiropractic. After several adjustments the numbness in his hand went away completely and this experience led him to become a chiropractor. 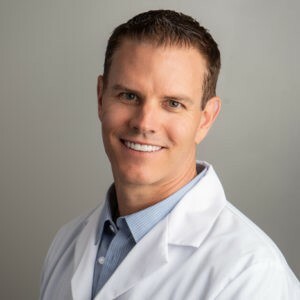 Since then Dr. Bailey has seen thousands of patients and loves what he does, helping others to achieve their health goals by integrating the best of medical and natural healthcare. Jason Bailey has been in practice since 1998 and moved his practice from Miami to St. Augustine in 2015. He feels that St. Augustine is a special place and a wonderful environment to raise his family. He has three beautiful children, Jonathan, Justin, and Julia, with his wife, Amy Accurso Bailey, who is also a chiropractor.